Are Hamas and Fatah headed toward reconciliation in Gaza? Are Hamas and Abbas headed toward reconciliation in Gaza? The Trump administration is encouraging the Palestinian Authority to assume control of the Gaza Strip and leaving the door open for a role for Hamas in the subsequent Palestinian government. Such a move was once seen as a traditional predicate to a two-state solution. But now top Palestinian leaders are hedging their bets, saying they would not rule out a one-state solution in which Palestinians have the same one-person, one-vote rights as Israelis. Israeli leaders have long said that would mean the end of the Jewish state. Palestinian Authority officials — including Cabinet members, security officials and top bureaucrats — traveled this week to the Gaza Strip, the first en masse visit since Hamas’ bloody ouster of P.A. President Mahmoud Abbas’ Fatah movement a decade ago. It was a visit twice blessed by the Trump administration, first through a statement last week by the Quartet (the grouping of the United States, Russia, the European Union and Russia that aims to guide the peace process), and again Oct. 2 with a statement from Jason Greenblatt, Trump’s top international negotiator. While this week’s P.A. visit to Gaza is only for several days, Husam Zomlot, the PLO envoy to Washington and a top Abbas adviser, anticipated a consolidation of the Palestinian Authority presence there. The visit was brokered by Egypt, a key U.S. and Israeli ally. Zomlot, speaking Oct. 2 to reporters in Washington, said that Hamas dissolved its governing body last week, and that the P.A. is expecting Hamas to formally hand over governance of the strip this week. The final stage, he said, would be elections. “The return of the Palestinian Authority [to Gaza] is a milestone for the Palestinian Authority and of President Trump’s deal of the century,” Zomlot said, alluding to an alleged agreement between Donald Trump and Israeli Prime Minister Benjamin Netanyahu on terms to end the Israeli-Palestinian conflict, plans that ruled out a two-state solution as the answer the crisis. A signal of the White House’s seriousness is the likelihood that Hamas will continue to play a role in governing the strip. President Barack Obama, heeding Israeli concerns, had rejected any role for Hamas in Palestinian governance, and Netanyahu has said repeatedly it would be a deal-breaker. Greenblatt, in his statement, raised concerns about Hamas, a State Department-designated terrorist group, but in language vague enough to accommodate a Hamas role. “Any Palestinian government must unambiguously and explicitly commit to nonviolence, recognition of the state of Israel, acceptance of previous agreements and obligations between the parties, and peaceful negotiations,” Greenblatt wrote. Netanyahu, speaking Oct. 3 to a Likud party meeting in the West Bank, maintained — at least in part — a tough line on the terms of a reconciliation acceptable to Israel. He said Hamas must be disarmed, but did not count out explicitly keeping Hamas figures within the Palestinian Authority bureaucracy. “We expect everyone who talks about a peace process to recognize the State of Israel and, of course, to recognize a Jewish state, and we are not prepared to accept bogus reconciliations in which the Palestinian side apparently reconciles at the expense of our existence,” Netanyahu said in Ma’ale Adumim, a settlement of 40,000 located just east of Jerusalem. 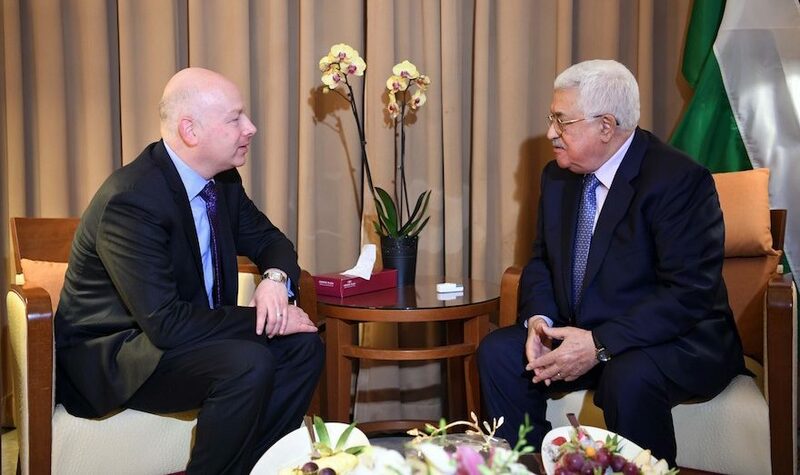 Without mentioning the two-state goal, Greenblatt’s statement nevertheless called on any Palestinian government to abide by “previous agreements.” These would presumably include the 2003 “road map” that was to have culminated in Palestinian statehood. Still, Zomlot said the Palestinians want more clarity from the Trump administration. “We cannot travel a journey without knowing a final destination,” he said. 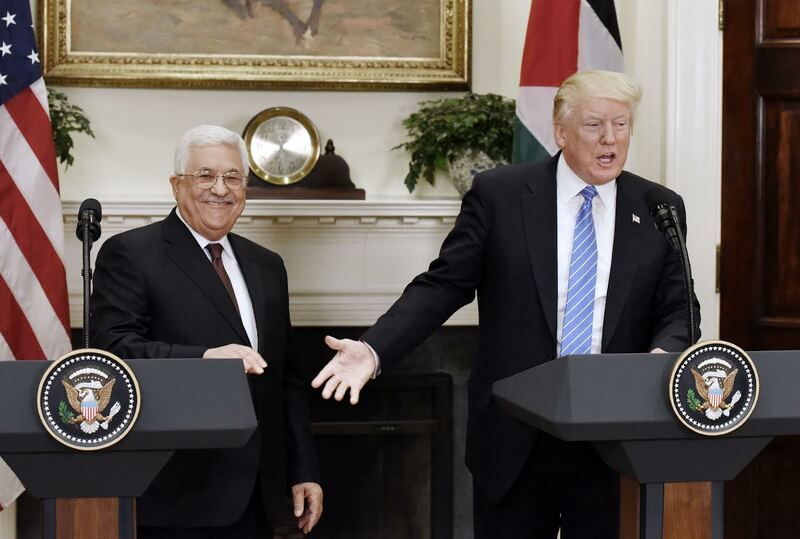 From the launch of the Oslo process in 1993 until now, Palestinian Authority officials have spoken of a one-state outcome only in pessimistic terms, casting it as a dystopia engendered by a failed process. Last month, addressing the United Nations General Assembly, Abbas — in a first for a Palestinian leader — said that if the two-state option collapses, Palestinians could embrace one state. 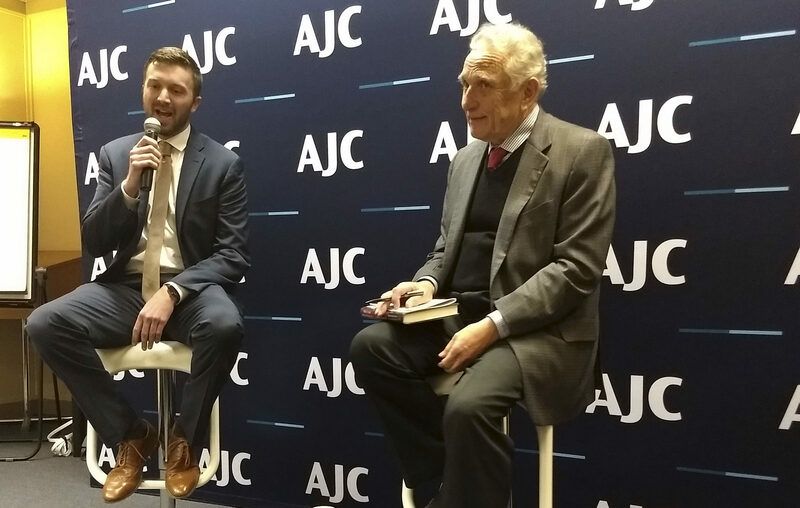 It would not be a predominantly Jewish state covering Israel and most of the West Bank, an outcome popular among the Israeli right, but a binational state in which West Bank and Gaza Palestinians have full rights as citizens. 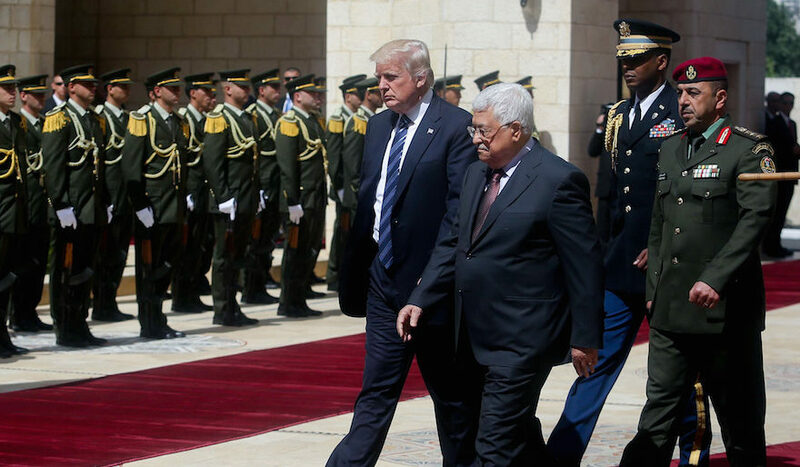 Trump and Abbas talk peace and ISIS in D.C.